ANNIE, the story of everyone's favorite plucky, red-haired orphan, finally makes the leap from DVD to Blu-ray™! 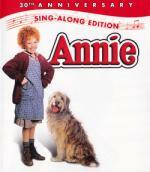 One day Annie (Aileen Quinn) is chosen to stay for a week with the famous billionaire "Daddy" Warbucks (Albert Finney). One week turns into many, and the only person standing in the way of Annie's fun is Miss Hannigan, the tyrannical ruler of the orphanage (played to hilarious perfection by Carol Burnett). Will Miss Hannigan's zany attempts to kidnap the irrepressible Annie succeed? Sing along to the unforgettable songs and experience the beloved musical like never before! This is one I thought I seen years ago... but after watching it through out I am not sure. Maybe I only seen clips of it. But this is one I enjoyed quite a bit. I liked the storyline and the setting. Cast did a great job... all except one. I just did not care for Carol Burnett in this film. Which is weird since I used to enjoy her years ago. But something bugged me about her in this one. Not the character mind you... but Carol Burnett herself. This one definitely worth the time put in to watch it. Since this whole thing got turned into a competition (with a prize and all) the whole thing has gotten a little complicated. How to count what we watch and everything. So we have now decided at least for the competition... only the movie total counts... as she owns strictly musical TV series she can easily beat me with those by watching twice as many in half the time. So we decided for the competition only the movie totals will count. Wow! What did this whole thing turn into!?! Hey, you have only yourself to blame, what with those taunting and laughing emojis! I love Phantom. I'm not sure that this is my favorite version of the story - I think that's still the 1990 TV movie - I still think this is an excellent version. I love Lloyd Webber's music. I listened to the Broadway soundtrack for years before this came out. This is a beautiful, lush, romantic film, with gorgeous costuming and sets. I enjoy all of the cast, even if Gerard Butler's voice isn't quite as good as it probably should be for his role. The Phantom here is manipulative and cruel, and it's creepy when you think about him knowing Christine since she was a child. He's also still quite a sympathetic character, and you feel quite bad for him in the life he has led. 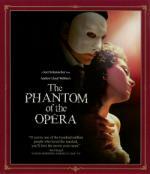 I don't find Christine or Raoul to be as well-developed, but the Phantom is the central character of the story no matter how you look at it. Recommended with the caveat that this is almost entirely music, so if you don't like Lloyd Webber's sound this is not a film for you. I thought the story would be enough to carry Pete through, but we lost him an hour into the film. For those of you unfamiliar, Doc Watson was a folk, roots, and bluegrass musician who played a fabulous guitar and banjo. This is a great little set, but it drops off abruptly (like the Oak Ridge Boys one) leading me again to believe it isn't the complete show. I really wish more of this show was available on DVD. What a great set! 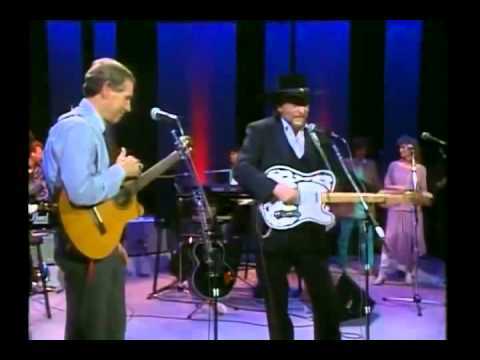 Chet's backing band is Dire Straits, and his friends are the Everly Brothers, Emmylou Harris, Michael McDonald, Waylon Jennings, Willie Nelson, and David Pack. Chet Atkins knew so many great musicians and had such an influence on popular music. 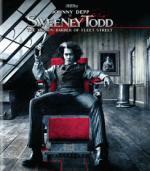 Johnny Depp and Tim Burton join forces again in a big-screen adaptation of Stephen Sondheim's award-winning musical thriller. 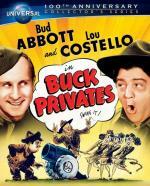 This is one that my daughter Brittany picked out to watch with me. I enjoyed it quite a bit... but then how can you go wrong with a cast such as this? I really liked both the story and the settings. This is a film that easily kept my attention through-out. I would definitely recommend this one. Everybody wants to be a cat! 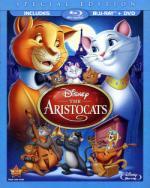 Disney's unforgettable classic The Aristocats swings like never before in high definition. Share all the heart, humor and irresistible music with your family in this jazzy Special Edition 2-Disc Combo Pack! In the heart of Paris, a kind and eccentric millionairess wills her entire estate to Duchess, her high-society cat, and her three kittens. When her greedy, bumbling butler attempts the ultimate catnap caper, the rough-and-tumble alley cat Thomas O'Malley and his band of swingin' jazz cats must save the day. It's the purr-fect blend of comedy and adventure. This timeless treasure boasts remarkable picture and sound quality, fun-filled bonus features and memorable songs the whole family will enjoy. It's the cat's pajamas in Disney High Definition! I was in the mood for something short, light and fun, and this always fits that bill. This is one of my personal favorite Disney films, even though I'm well aware that it's considered a 'lesser' film in their catalog. Yet, I'm never sure why. I like all the characters, even spoiled little Marie who is always the one in danger. The villain is truly bumbling but has believable motivation. The two dogs are hilarious. Sure, the tale is a pretty simple one, but the romance is genuine, the voice acting is good, and I come to appreciate the art style and animation more each time I watch it. Also, the blu-ray release is beautiful and this film has never looked better. If you like the movie, it's definitely worth the upgrade. An angelically beautiful Catherine Deneuve was launched to stardom by this dazzling musical heart-tugger from Jacques Demy. She plays an umbrella-shop owner's delicate daughter, glowing with first love for a handsome garage mechanic, played by Nino Castelnuovo. When the boy is shipped off to fight in Algeria, the two lovers must grow up quickly. 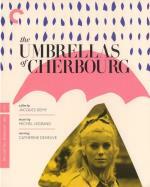 Exquisitely designed in a kaleidoscope of colors, and told entirely through the lilting songs of the great composer Michel Legrand, The Umbrellas of Cherbourg is one of the most revered and unorthodox movie musicals of all time. What is love? Is it the first blush of romance, the passion of youth and energy of youth, when life is ahead of you and everything is enormous? I'm sure you remember those days, when everything that went wrong was the end of the world, and your life was over. Or is love something you build with people who stand by you? Is it something you have to work for, something that only comes when the flush of youth has passed and one becomes an adult? My vote is for the latter, but you can work it out for yourself.